I embarked on a nice research result that may feed into the Basel discussion on the risk-based solvency framework (clik here for the DP). One would think that Tier 1 capital serves a solvency purpose, and therefore it would present a more conservative picture of a bank’s solvency. For U.S. Bank Holding Companies over 2001-2012, the graph shows a different reality tough. 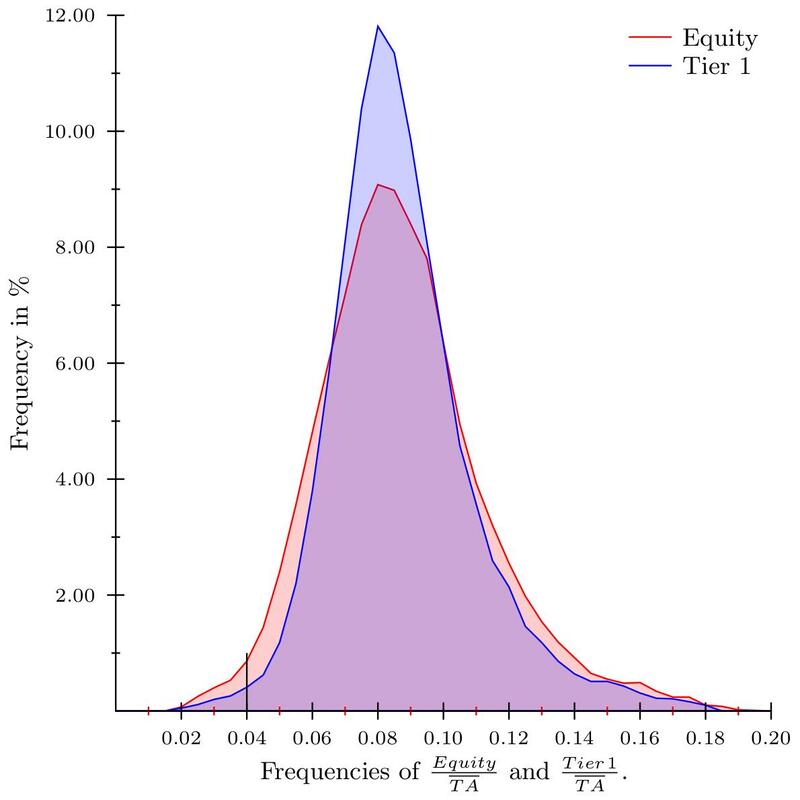 Apparently Equity does a better job, e.g. look at the observations left of the 4% solvency level. Note that the ratios have Total Assets as the denominator, so the differences are purely driven by the numerator: the U.S. definition of capital. If you want a copy of my paper, please let me know.